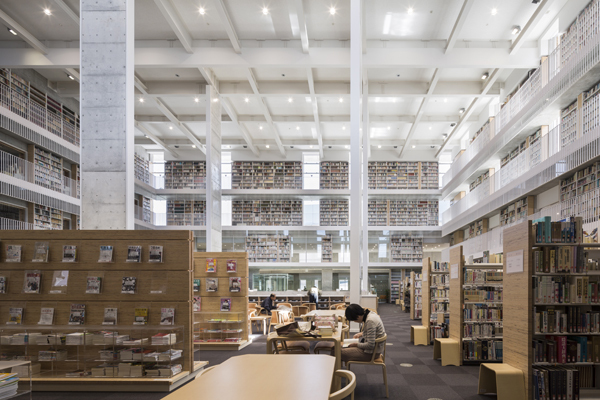 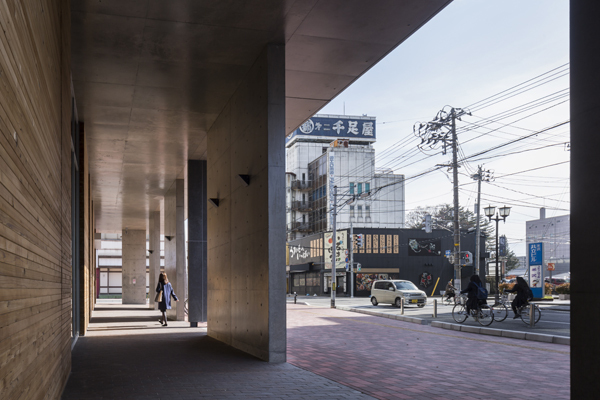 Yonezawa City Library, Yonezawa City Gallery | PROJECT | YAMASHITA SEKKEI INC. 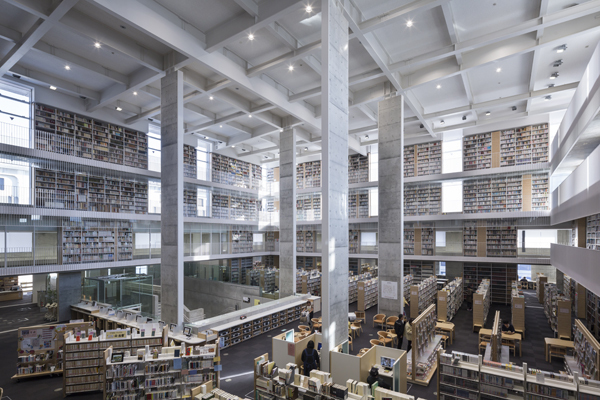 The library is placed on the second floor, making it a “big single floor” and achieving a “quiet environment” away from the noise of the city. 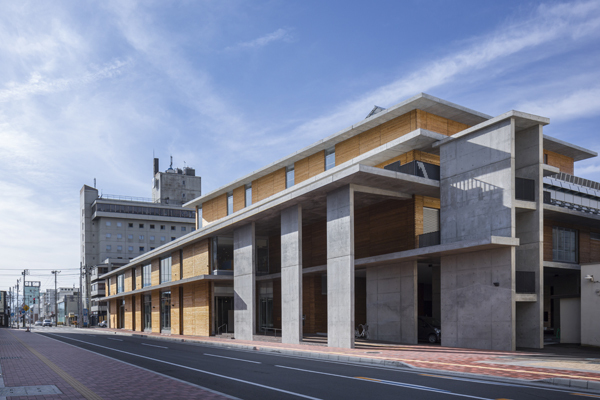 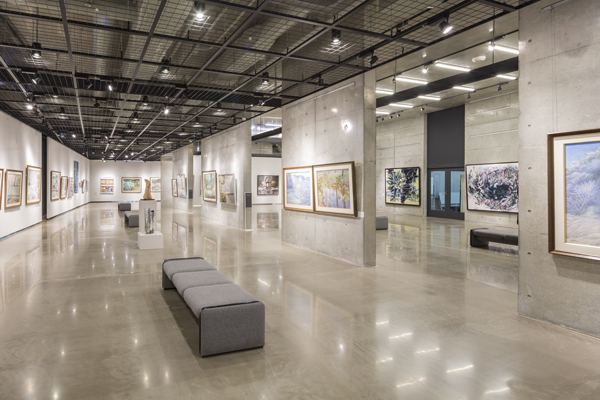 On the other hand, various functions including the gallery placed on the first floor can be regarded as “Gallery × Cafe × Studio”, giving freedom to allow various activities beyond the boundaries of each function, and facilities opened in the city It was intended to be used as In addition, an exhibition space was established at the middle level between the citizen gallery and the library to provide diversity as “Gallery × Library”.